For our second show of the year we have the pleasure to welcome back Glenn Wool, one of the best comics on the circuit, period. 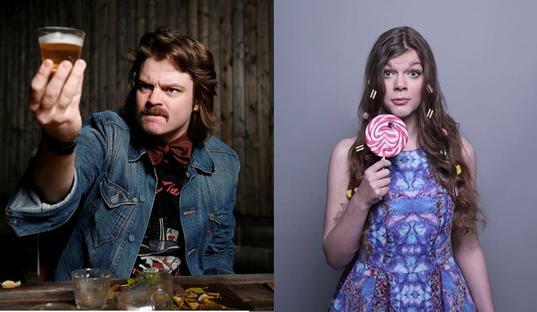 And together with him, the fastest rising female comedian around, Lauren Pattison. This will be another exceptionnal show so get your tickets fast! Comfortably in his forties, award-winning comedian and new dad Wool delves into his back catalogue of material to perform some of his more subversive routines. Does he still agree with those points of view or has he finally grown up? Plus a little navel gazing tossed in for the arty-farty types. Her smash hit, sell out, critically acclaimed debut show Lady Muck, was lauded as one of the strongest debut the Edimburgh festival had seen in years. It received a Herald Angel Award and was nominated for Amused Moose Best Show and an Edinburgh Best Newcomer Comedy Award.